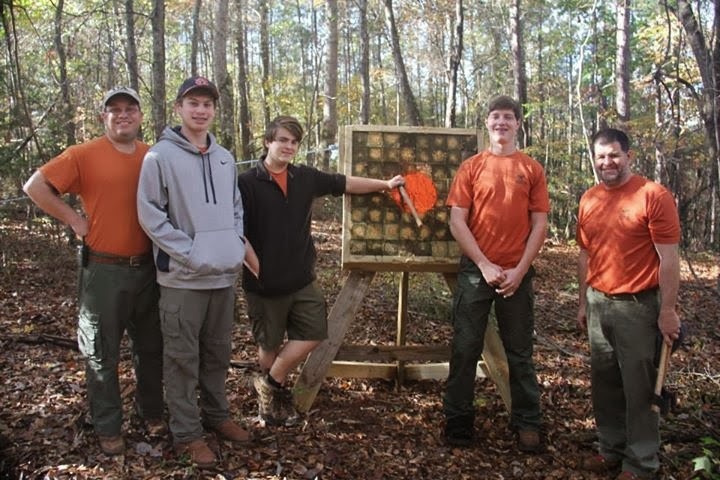 Troop 50 Scouts and leaders fulfilled the troop's mission of servant leadership and community service by volunteering to staff two events at the Kevin Bell Memorial Scholarship Fund Blast and Cast. The event memorializes Kevin Bell, who passed away in 2010 at the age of 29 from Friedreich’s Ataxia, a neurological disorder which robbed him of the ability to walk and to write by the age 11. Kevin loved education and after pursuing his own education at Auburn University, he taught as his condition allowed as a substitute teacher in Auburn City Schools. His mother, Debbie Allen, along with friends Andy and Pam LaMar, created the annual event at the LaMar's property in Waverly to fund a scholarship at Auburn University to support deserving Auburn High School students attending Auburn in pursuit of education degrees. With the scholarship fully endowed after the 2012 event, this year's Blast and Cast focused on funding scholarships to support local veterans who wished to return to college to earn a degree. 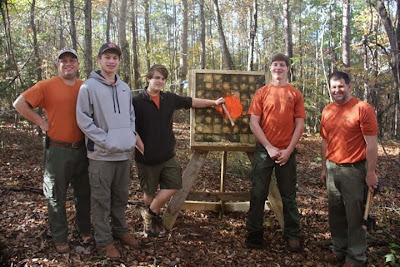 Troop 50 ran two events -- tomahawk throwing and slingshot shooting -- amid the other events that scored four-man teams numbering nearly 60 competitors on their accuracy with these projectiles and clay shooting, as well as throwing knives, pistols and rifles. 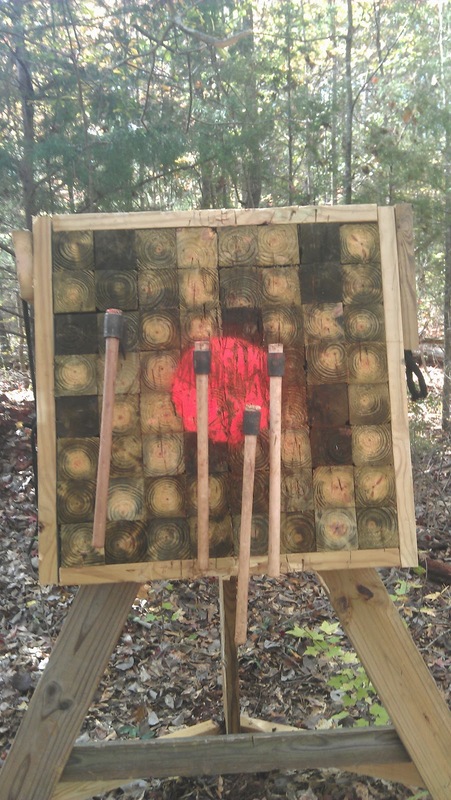 Slingshot shooting was a new, "surprise" event added this year and was left a mystery until teams arrived today for the event. and Assistant Scoutmasters Wade Daniel and Jim Perry. 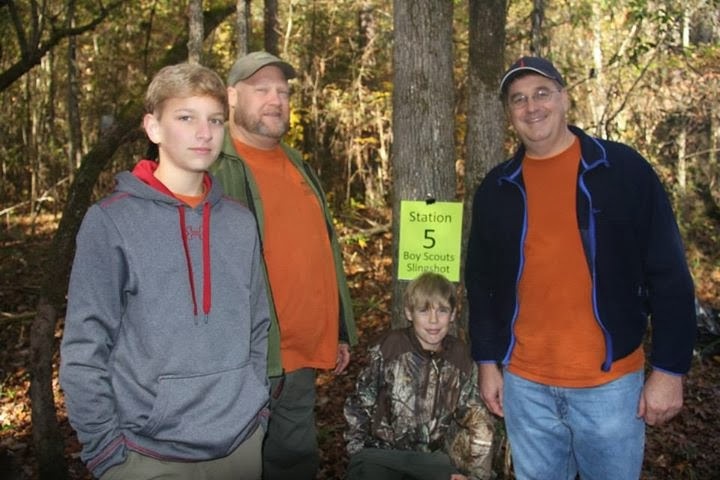 For more information about the annual Blast and Cast, visit the Kevin Bell Memorial Scholarship Fund page on Facebook, and see more photos from the event in our online photo album.